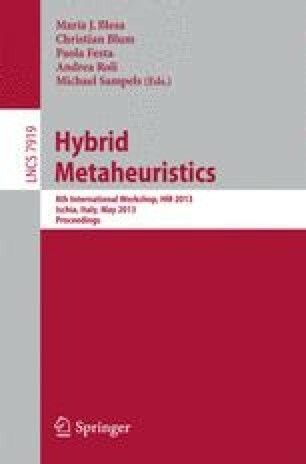 (Hybrid) metaheuristics such as simulated annealing, genetic algorithms, or extremal optimization play a most prominent role in global optimization. The performance of these algorithms and their respective sampling behavior during the search process are themselves interesting problems. Here, we show that a combination of two approaches – namely Energy Landscape Paving (ELP) and Stochastic Tunneling (STUN) – can overcome known problems of other Metropolis-sampling-based procedures. We show on grounds of non-equilibrium statistical mechanics and empirical evidence on the synergistic advantages of this combined approach and discuss simulations for a complex optimization problem.